Here’s a look at what non-Big Two comics are coming out in July 2016. The Powerpuff Girls once again gets a new ongoing comic, this one specifically tied to the new TV show on Cartoon Network. From the solicit’s description, it sounds like the “Peanuts” comic by Boom! Studios is ending its run with this month’s special issue? At Archie, they relaunch longstanding title “Betty and Veronica” this month with a new first issue, plus an absurd number of variant covers (25?!). The new relaunched title will be set in the same universe as the other revamped Archie books (“Archie,” “Jughead”). 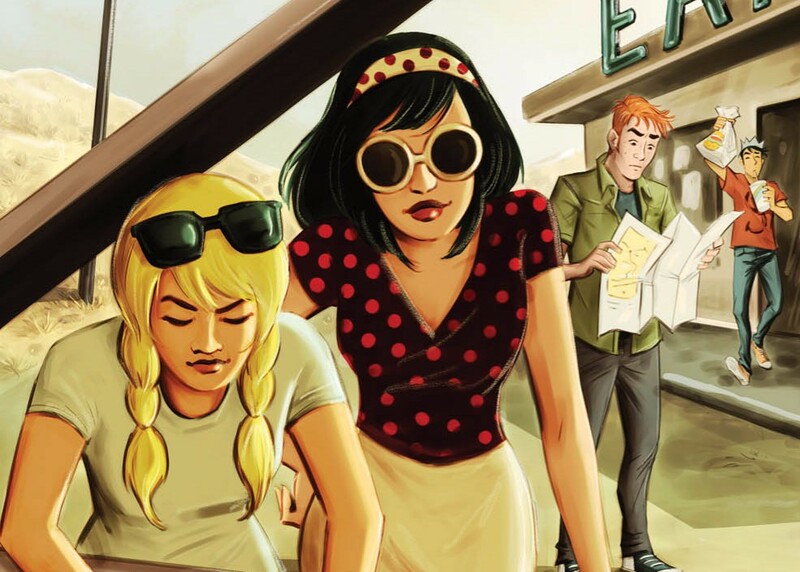 Archie’s also collecting the mature readers “Sabrina” book into its first trade paperback. “Chilling Adventures” will also see another single issue out in July; this month’s story centers around Salem.